Software installs such as Softaculous are a simple and fast way to install a script onto your website. 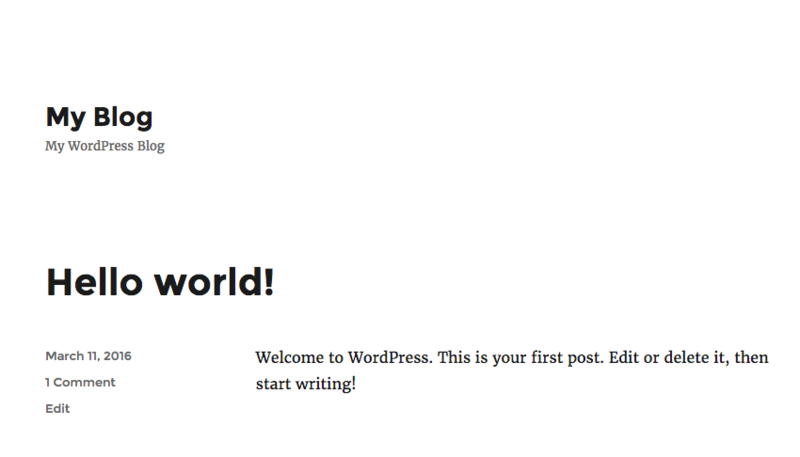 Using a very popular example such as Wordpress, you can create a website within minutes. Softaculous boasts having 394 great scripts, 1000 PHP classes and they plan on adding many more in the future. Log into your cPanel account and scroll down to the 'Softaculous Apps Installation' section. This area will provide a variety of applications that can be installed on your account such as WordPress, Joomla, OpenCart, phpBB and WHMSC. 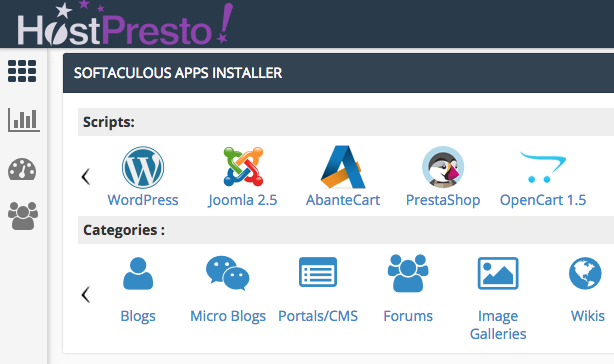 In this article, we're going to show how to install 'WordPress'. 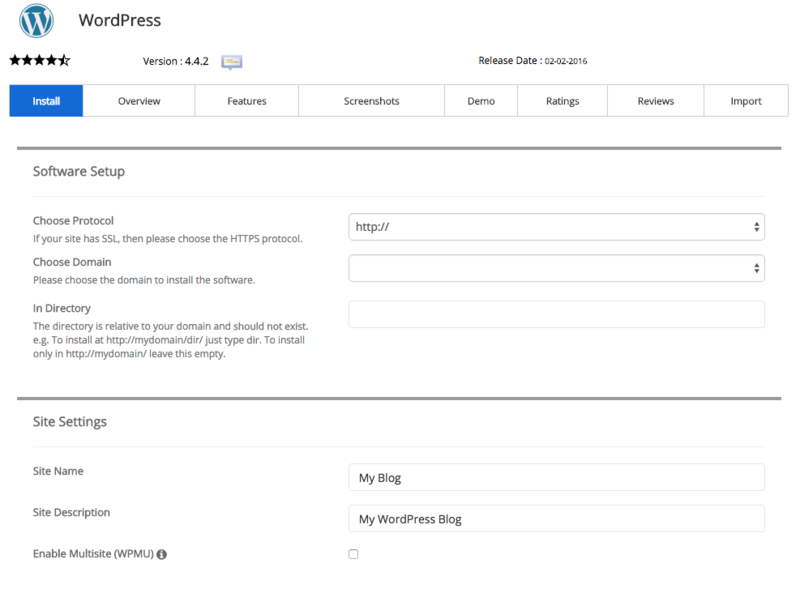 Select 'WordPress' from the available scripts list. 'Choose Protocol' - The protocol of your website. 'Choose Domain' - This should be automatically completed as per your account's domain. 'In Directory' - If you'd like the WordPress software to be the primary page of your website, leave this section empty. However, if you wish to set it up in a separate directory because you already have a website, choose a directory such as 'blog' or 'wordpress'. No forward slashes need to be added. 'Site Name' - The site name will be featured in the header of your WordPress website and show on every page. 'Site Description Domain' - The site description, or welcome message, that will accompany beneath your website name. 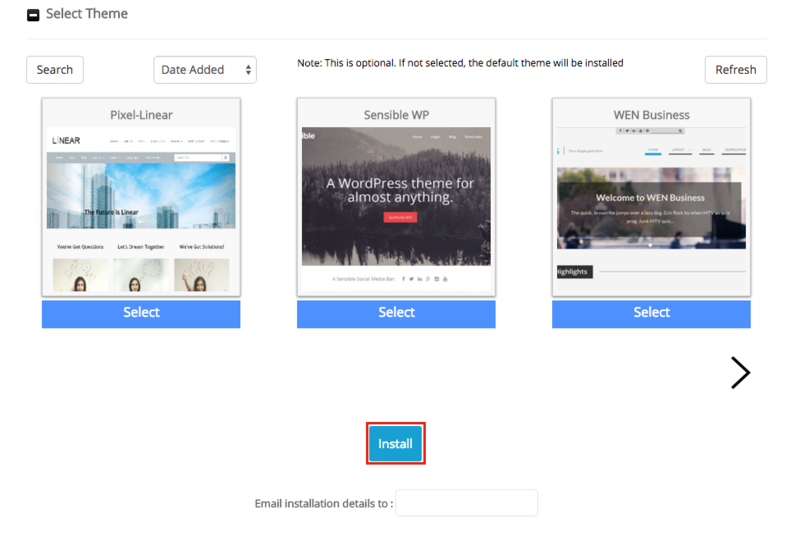 'Enable Multisite (WPMU)' - Only required to be ticked if you plan on creating multiple WordPress websites. Continue down to further options. 'Admin Username' - The username of your admin account, most commonly 'Admin'. 'Admin Password' - The admin account password. 'Admin Email' - The admin account email address. 'Select Language' - Your native language. 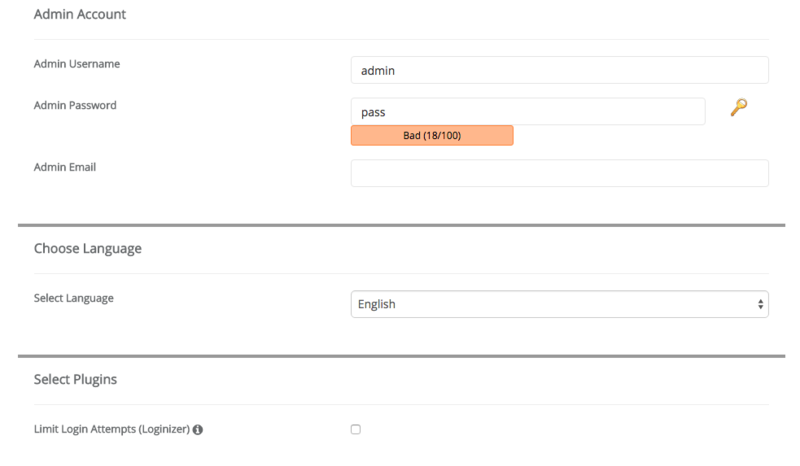 'Limit Login Attempts (Loginizer)' - This option will limit the amount of login attempts that your WordPress admin area receives. This is a helpful option in case there's a malicious user trying to gain access to your website. You can choose a stock theme provided to you by the script. Make your choice using the 'Select' option beneath the theme, otherwise continue ahead. Choose 'Install' at the end of the page to progress to the next stage. If you would like to receive an email following the installation, you can add your email address at the bottom of the page. 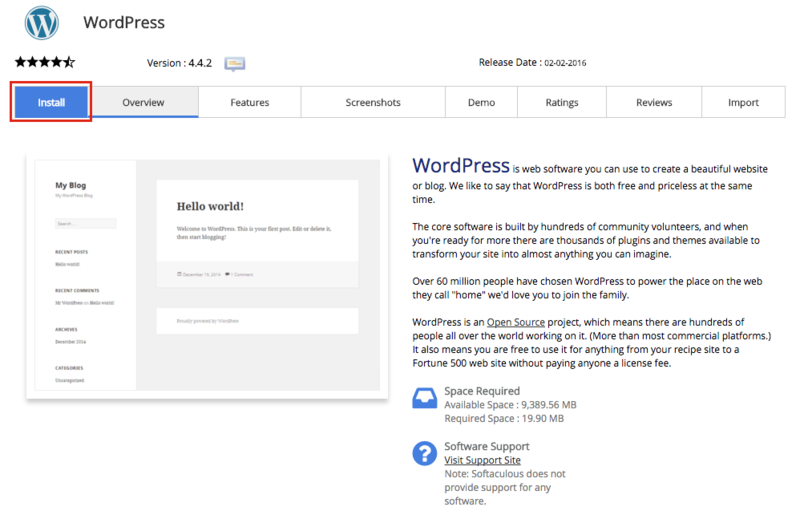 After a few moments, you should see visual confirmation that the software has been installed successfully along with your WordPress account information. If you now go ahead and visit your the website address where WordPress was installed to, you should see the website as per the installation settings that you provided. Installing software using Softaculous is now complete.